…here, and in some other countries, so I’m offering a brief post this week: a quote from Middlemarch. We are not afraid of telling over and over again how a man comes to fall in love with a woman and be wedded to her, or else be fatally parted from her. …In the story of this passion…the development varies: sometimes it is the glorious marriage, sometimes frustration and final parting. George Eliot’s novel was published in 1871. It seems to me that her observation is still true. So come on, you blocked writers, what are you afraid of? Next time you have doubts about your writing, think of all the fiction that has been published since this quote: the millions of characters who have interacted with each other. Then ask yourself why you shouldn’t tell your version of any story. 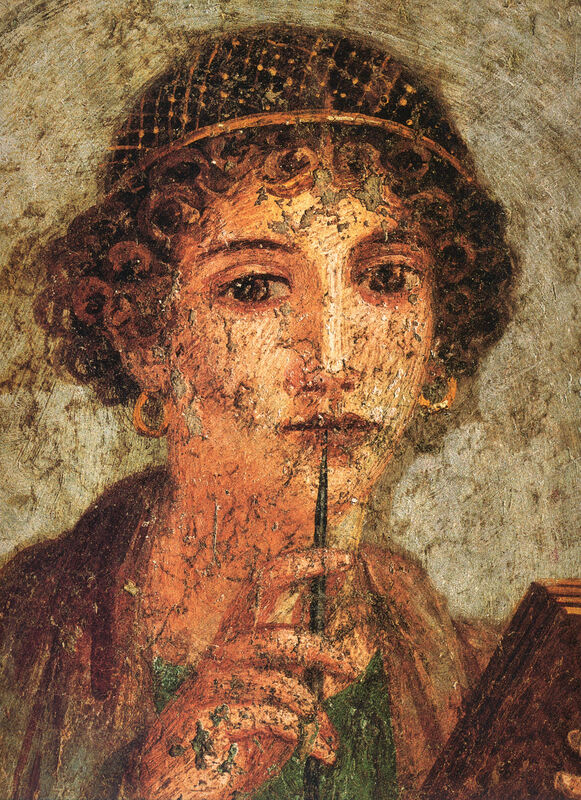 And in case that doesn’t impress you, here’s Sappho, born circa 620 BC. The fragments of her poetry that remain are all centred on love and passion. This entry was posted in Literature, Story, Story telling, Writing and tagged creative writing, George Elliot, Ideas, inspiration, reading as a writer, Sappho, Write, Writers, writing by cath. Bookmark the permalink. Nice one. Got your quota in today? Not yet, but its not stopped drizzling here yet, so I’ve no excuses.